#829- “Wish Someone Would Care”- Irma Thomas 1964 Imperial Billboard #17. This would be Irma Thomas’s only Top 40 hit. Marsh writes how Otis Redding took her ‘Ruler of My Heart” and made it into “Pain In My Heart”, and The Rolling Stones took her “Time Is On My Side” and had a great success with that without changing much of anything. This is a good record, that I had never heard before today. Not in my top 1001 though. 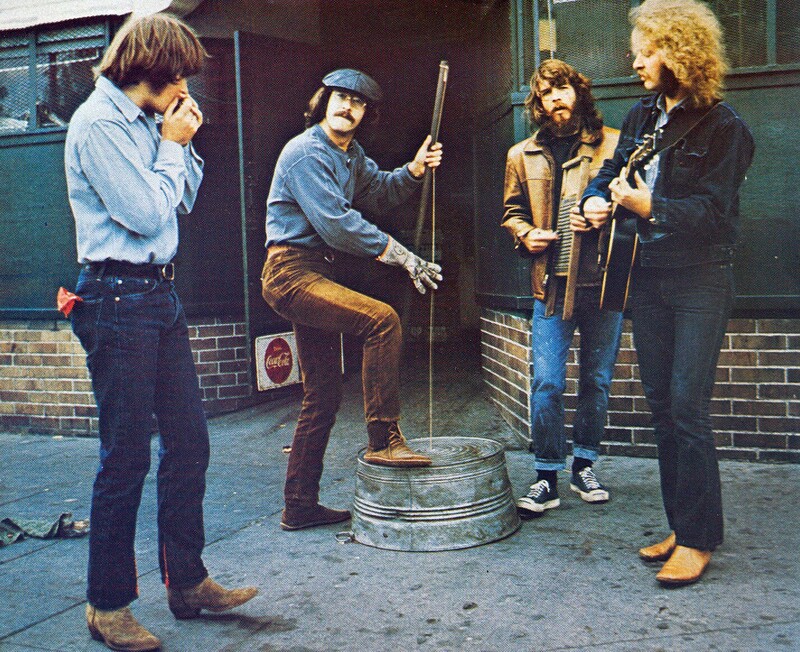 #828- “Lodi”- Creedence Clearwater Revival 1969 Fantasy Billboard #52. Can’t believe this wasn’t a hit-it was the b-side to one of CCR’s greatest hits “Bad Moon Rising.”- CCR had 5 singles hit #2 on the Top 40 but never made it to the top. I love CCR- and in the late 60’s-early 70’s no one was more productive, Fogerty was just churning out the classics for a few years. Would be under consideration with a dozen other CCR hits for my 1001 greatest singles. #827- Tonite Tonite”- The Mello Kings 1957 Herald Billboard #77 Another doo-wop song on Marsh’s list. I had never heard this song before- a good record but I am not overwhelmed by it. #826- “Summertime Blues”- Eddie Cochrane 1958 Liberty- Billboard #8 An often covered song that Cochrane co-wrote. Cochrane looked the part of the 50’s rocker. His life came to a tragic end at the age of 21- car accident in England. It’s hard to believe all the rock and roll tragedies in the late 50’s- early 60’s- you’d almost think it was a conspiracy. This would probably make my 1001 greatest singles ever. #825-“I’m Walkin’- Fats Domino 1957 Imperial Billboard #4 Another great Fats record. One of my favorites by him. Would be under serious consideration for my 1001. The Fat Man hit the Top 40 37 times but the closest he came to the top of the charts was “Blueberry Hill” which peaked at #2. Underrated and underappreciated great. #824- “Come and Get These Memories”- Martha and the Vandellas 1963 Gordy- Billboard #29. This was before the group broke big with “Heat Wave”-and later “Dancing In The Street”- a nice record but I wouldn’t consider it for my 1001- while the other two mentioned would probably make it. #823- “Liar Liar”- The Castaways 1965 Soma Billboard #12 This is one of those songs I’ve heard many times but for some reason didn’t know or forgot who did it. Before I played it I was thinking -I don’t know this song but seconds in- “I know that song.” The Castaways also attended the University of Minnesota- as did Bob Dylan. This would be their only Top 100 hit. I like the record but well enough to make my 1001. #822-“It’s Gonna Work Out Fine”- Ike and Tina Turner 1961 Sue Billboard #14 One of the better Ike and Tina songs. Not on my 1001 list though. #821-“For Your Love”- The Yardbirds 1965 Epic Billboard #6 Eric Clapton quit The Yardbirds the day that “For Your Love” went public because they were going to more of a pop sound. He would go on to join Cream so I guess it worked out for the best. This record would make my 1001, I’ve always liked it. #820- “I Can’t Get Next To You”- Al Green 1970 Hi Billboard #60 A cover of a Temptations sound that is much better than the original. Al Green had yet established himself on the charts at this point. I have heard it so often over the years I assumed it was a hit but it topped off at #60. There would be some Al Green on my 1001- this one would probably be on the bubble as good as it is. Marsh does like the obscure songs and so far on on the countdown- doo wop. He grew up listening to it- It was before my time. It’s not that I don’t like doo-wop I am just not as big of a fan of it as he is. I think I feel the same about doo wop. In general, I like harmony vocals – definitely part of the reason I became attracted to The Beatles. But to your point, I never systematically listened to do wop, so pretty much don’t know it. There were box sets that came out maybe 20 -25 years ago covering the history of doo-wop- I have them and once every year or so will give them a listen and I enjoy listening but am not knocked out by it. Yes back in the 1950’s -early 60’s it seems like it was rolling the dice for a band to get on a plane.